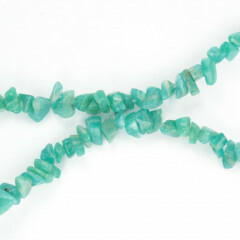 Amazonite is a fairly rare green mineral, which is sometimes used in low end costume jewellery. A gorgeous green mineral, its name is thought to come from the Amazon river basin – where it may have been found in the past, but no deposits have been found in recent times. It was apparently used for jewellery in ancient times in Central and South America. The stone can be found in several places around the world, although for a time was thought only to occur in the Ilmen Mountains of Russia. It has since been found in the USA, Brazil, Madagascar, and Australia. 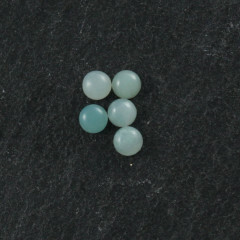 Specimens with evenly distributed colour over the piece are the most desired. 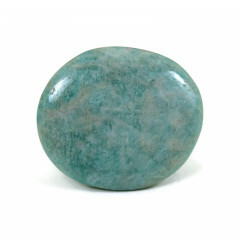 It is usually cut into cabochons or tumble polished – although carvings are available. It is known as the Amazon stone – some people believe that the mythical Amazonian warrior women wore it on their shield. 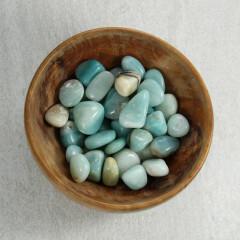 It is believed by some to be a healing stone – some people think wearing it as an amulet can protect against a range of ailments and conditions.